I am sure me posting my mincemeat filled recipes here in the run up to Christmas won’t make mincemeat a tradition here like it is back in England, but it would be lovely to think I may have introduced a few of you to something new that you might never have tried otherwise. Making my Vegan Mince Pies is a breeze. The pastry comes together in a food processor in minutes. You can also make it by hand if you prefer. 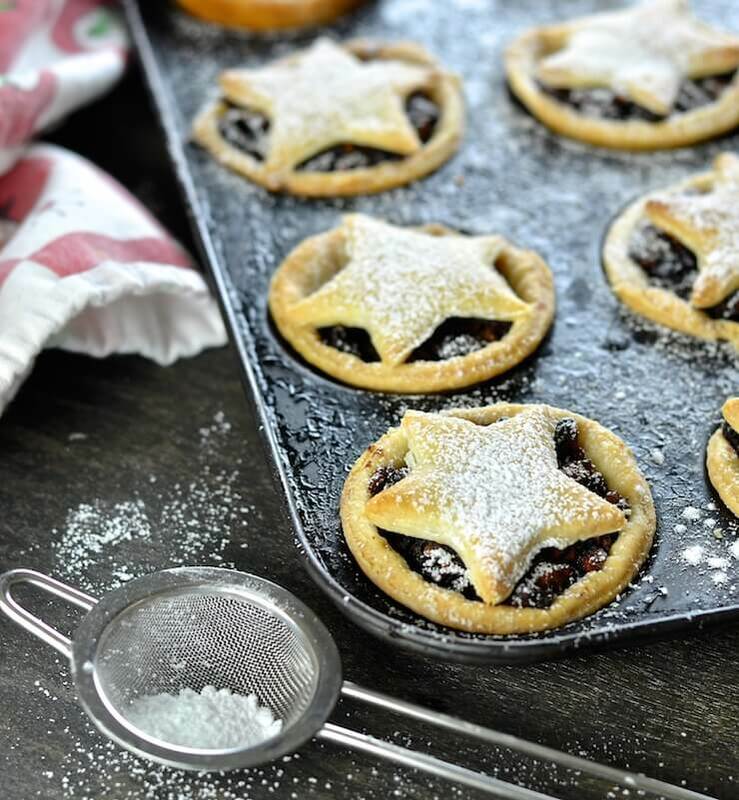 Cut rounds with a cookie cutter then fill with the festive, rich and fruity mincemeat, top with a lid (star shapes add some cute factor ♡), then bake until golden and bubbling. While they bake, your house will fill with the warmly spiced, festive scent of Christmas. The only thing that can come close to beating the smell is a simmering pan of mulled wine on the stove. Do both at once and you will think all your Christmases have come at once! Vegan Mince Pies are great served warm straight from the oven. 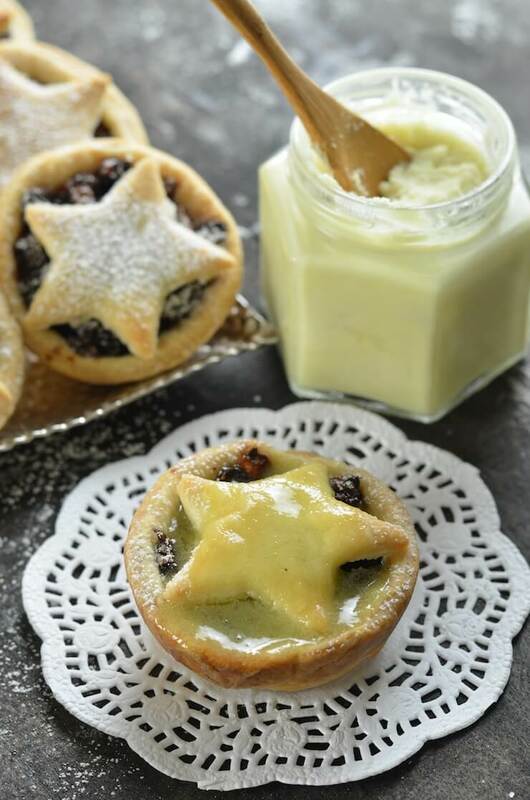 Eat them as they are or top with a generous dollop of melting brandy butter (you can find my recipe here). You can also top them with whipped coconut cream, custard (another pretty British thing), vanilla ice-cream or vegan spray cream if you can get it. Any or all of them are good! My Vegan Mince Pies will keep in an air tight container for up to a week. They can easily be reheated in the oven to bring them back to their fresh out of the oven status. You can even make them up to the point of baking, then stop and freeze them in their trays. When you decide it’s mince pie time, pull them out of the freezer and bake straight from frozen. They will take abut seven to ten minutes longer than the time stated. 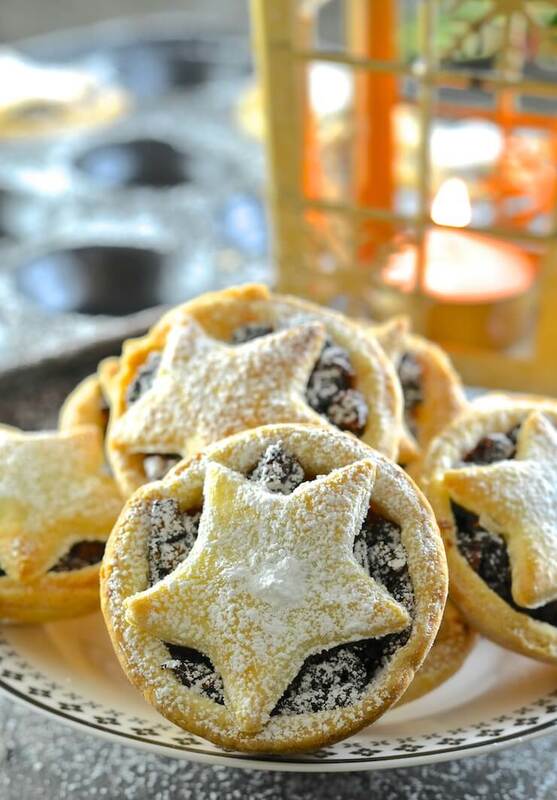 If you give my Vegan Mince Pies a try, be a ☆and let me know what you think in the comments below. You can also share your pics on Instagram. 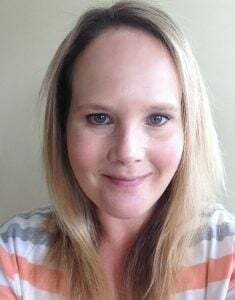 I am @avirtualvegan.com. Use the hashtag #avirtualvegan so I don’t miss them. I get a lot of notification and if there is no hashtag there is a chance I will miss it. Add the water one tablespoon at a time until it just start to ball up as the blade goes round. As soon as it starts, stop the food processor. Over working it will make the pastry tough. Test that you can squeeze it together into a pliable dough. Add a tiny bit more water and process again if it's too dry, or if it's ok then remove the blade, bring the dough together and turn out onto a floured surface. Roll out to 2-3mm thick and even all over. Use a cookie cutter, mason jar lid or the top of a mug or glass to cut 16 rounds big enough to go in each hole and come up the sides (if you are using a muffin tin then you can either make the pies extra deep or you can just use enough pastry in each one to go half way up the sides. If you make them extra deep you won't get 16). Crimp the edges if you want to or just leave them. Add a generous amount of mincemeat to each once. It should come right up level with the top. Bring the pastry scraps back together and roll out again to 2 - 3 mm thick. Cut out the lids. You can make them full round ones or cut them into shapes. If you make full lids brush around the top of each pie with a little plant-based milk or aquafaba before adding the lid then press down all around to seal. 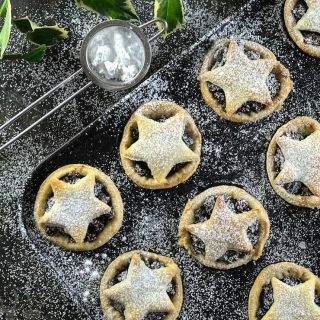 If you are using stars then place them on the top of each pie and press down gently to make them as flat and even as you can . Once the oven is to temperature remove the pies from the fridge and place in the hot oven. Cook for around 20 - 23 minutes. The pastry should be turning golden brown and the mincemeat filling bubbling. Remove from the oven and prise out gently. I found using a little knife the easiest way to loosen up around the edge if necessary and pop them out. Place on a cooling rack. Do not cool them in the tins or you will end up with soggy bottoms! If you don't have a shallow bun pan or a mince pie pan then you can use a standard muffin pan, or buy individual tin foil cases. 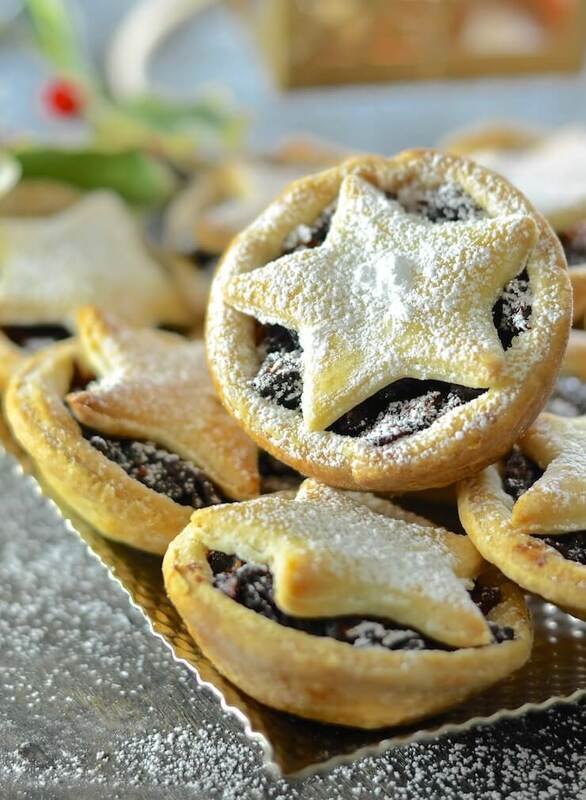 If you don't have any powdered sugar or prefer not to use it then you can sprinkle the top of the mince pies with some granulated sugar BEFORE baking them. It makes them look pretty and adds little texture too. When calculating the nutritional information I could only find mincemeat which had suet as an ingredient. If you use my mincemeat recipe it contains no suet so the calories and fat content will be a bit less. Thanks for a fabulous recipe – I’ve been looking for a pastry recipe and this one is the best I’ve attempted! I made the mince recipe too but subbed 1/3 cup brandy instead of the port. Worked perfectly! Do you think the pastry recipe would translate to a large pie crust? And have you tried making the recipe gluten free? Thanks! Hi Bev. I’m glad you enjoyed it. The pastry recipe definitely works for a large pie crust too. I have not tried it gluten-free though. I love mince pie. With an Italian mother and an Irish father and 5 kids, there was always room for creativity when my mother cooked and baked. Although Italian, she cooked and baked all types of things and I’m grateful for that. Mincemeat pies were a Christmas special in my home as a kid and I carried on the tradition every Christmas. 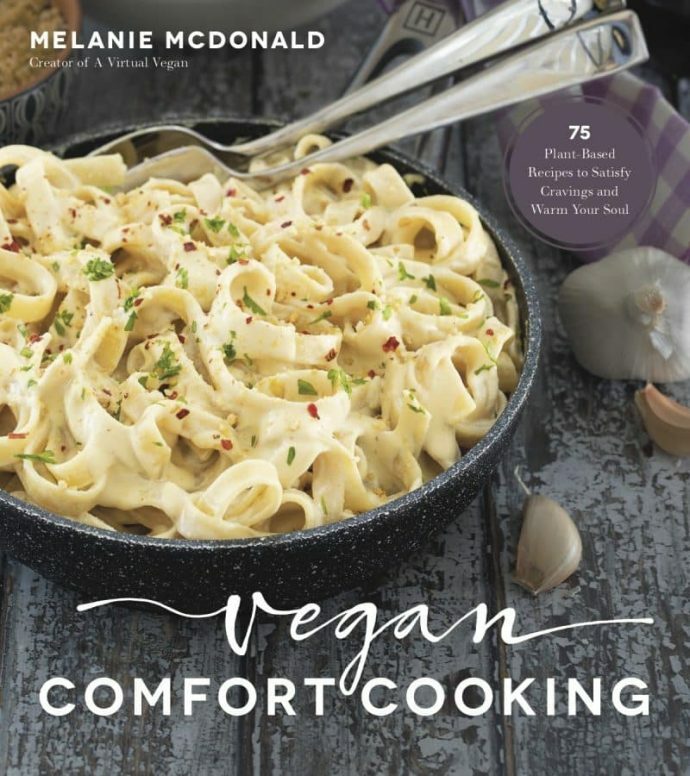 Since we’ve all become vegan, I have been looking for a good recipe and this one looks very good. I’m using it today. I like the idea of using the muffin tins too. These look so appetizing! Thanks for the recipe. I can’t wait to taste them. I’ve given 5 stars because the clarity of the recipe, the great pictures, and the tasty ingredients. I can’t lose with these! Thank you so much Jane. I hope you are pleased with them. Merry Christmas! Shhhh, don’t tell my mum, but the pastry for these mince pies is much better than hers! I’m English and have been making the family mince pie recipe for over 30 years. This is the new standard. The only changes I made was to replace 1/4 cup of the plain flour with whole-wheat and omit the sugar as I find the sweetness of the mincemeat compliments the unsweetened pastry. Thank you so much! This might be a bit of a random question, but do you think I could make these in my air fryer? I don’t have an oven! I doubt you would fit a muffin/mince pie pan in an airfryer, but maybe you could make them in those single disposable aluminum mini pie cases? I don’t have any experience with airfryers but just did a quick Google and it looks like it is possible to cook pies and pastries in them. I have no idea how good they would turn out though. It would be a case of experimenting I think. Let me know what happens if you do it! Made in silicone muffin cups – easy to remove and perfect. Crust wasn’t as flakey as my regular crust, but that may be because of the kitchen of the rental had few tools and the crust got somewhat warm when we were working with it (and cutting out the tops) and the oven was less than reliable. Still awesome and I am super grateful for this hit of our holidays! Huge success and I will make it again!!! That’s great! The pastry getting too warm might have affected the texture a little, especially if it was handled a little too much, and also silicone muffin cups aren’t great for pastry either. It needs to be cooked in metal to get the best texture. But you had to work with what you had and I’m so glad you enjoyed them regardless! Next Christmas they will be even better! That’s great Lucy. So glad you enjoyed them! I’ve just made my first batch of mince pies using your recipe. I didn’t have any port so I used molasses instead. The end result looks amazing! That’s awesome Steph. I’m so pleased. Thank you for letting me know! Ooh you’re so good for actually making the pies! 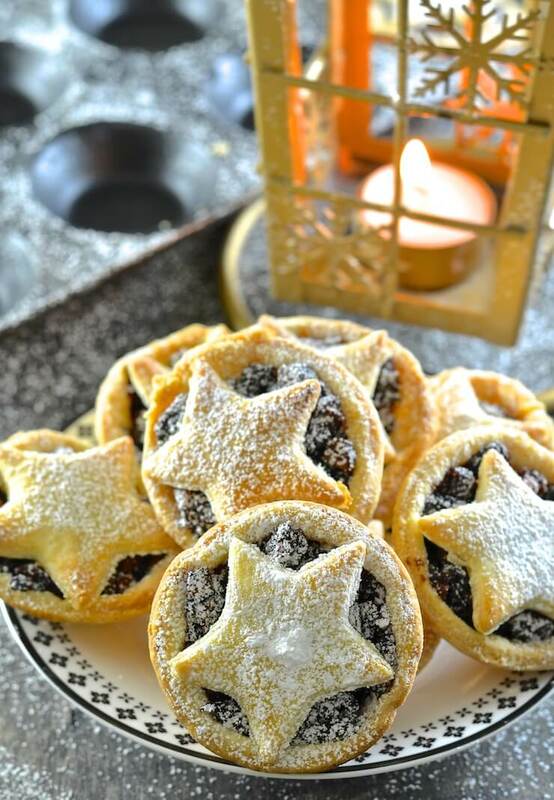 I want to try one year, maybe I’ll start with Christmas cookies this year though… I just bought the vegan mince pies from sainsburys and they are amazing! It’s so great that Sainsbury’s are introducing so many vegan products! 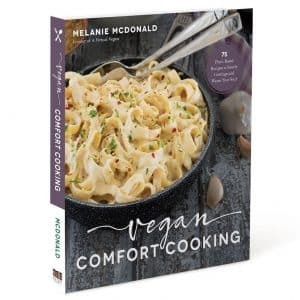 I actually used to work there many moons ago and they weren’t so vegan friendly then. It shows how times are changing. Enjoy your mince pies and hope the cookie baking goes well!